Due to a permanent reconfiguration of the Mission Hospital entrance at the intersection of Biltmore Avenue and Rose Chapman Drive, the sidewalk along the west side of Biltmore Avenue from Hospital Drive to Rose Chapman Drive will be closed from Sunday, March 31, to Sunday, April 28. 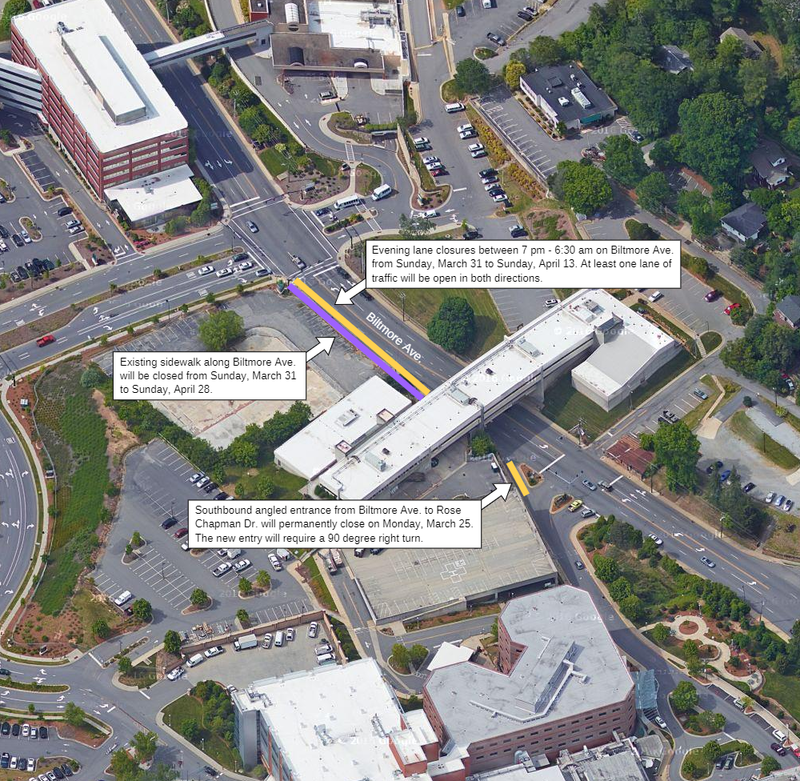 The NCDOT and City of Asheville have both approved the sidewalk closure. The sidewalks along Hospital Drive and the east side of Biltmore Avenue beside the St. Joseph Campus will not be impacted by construction. Additionally, motorists on Biltmore Avenue from Hospital Drive to Rose Chapman Drive should expect nighttime lane restrictions due to construction work occurring between 7 pm and 6:30 am from Sunday, March 31, to Saturday, April 13. Traffic will be maintained in at least one lane in each direction at all times.